This is the fourth mug for Germany from You Are Here series. Frankfurt is the most important commercial centre for Europe as well as one of the biggest transportational and tourism hubs. If you travel from/to Eastern Europe or Asia you are likely to have a connection in Frankfurt. 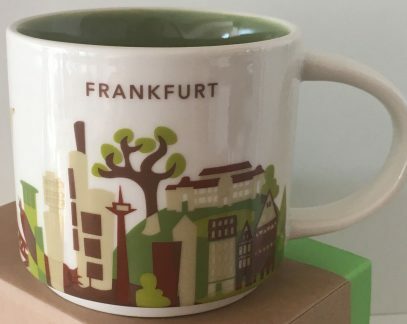 Each terminal in Frankfurt Airport has a Starbucks coffee shop, so you have a great chance to pick this mug, as well as other mugs from Germany. Tell us about your experience in the comments or in our forum.